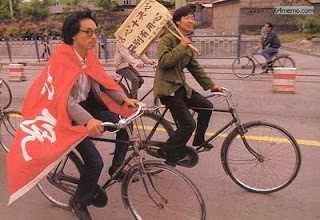 Students from Peking University start their rally. 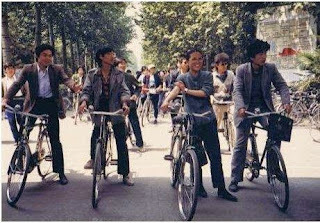 Wang Dan (second from left) and his classmates. 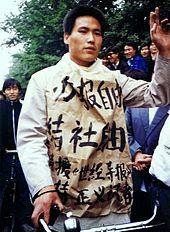 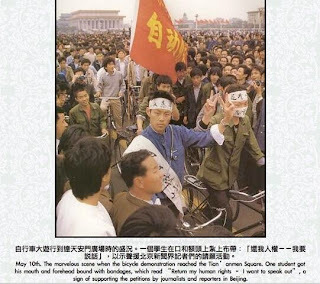 Pu Zhiqiang in the rally, calling for press freedom. 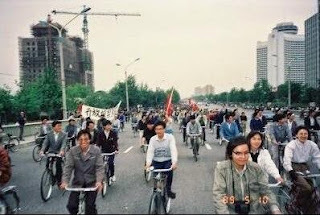 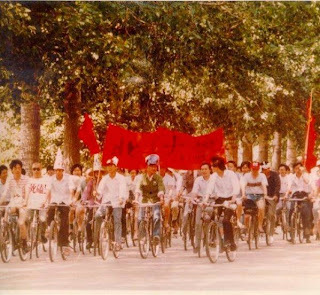 Students rally through Chang'an Avenue. 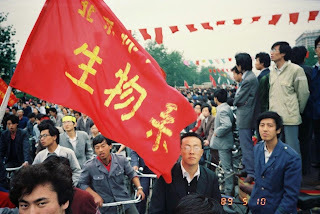 Students from Beijing Normal University at Chang'an Avenue. 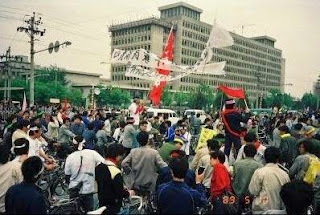 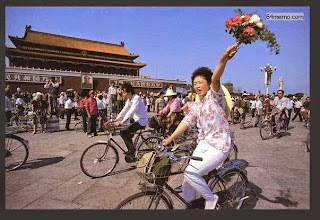 Students rally at Tiananmen Square. 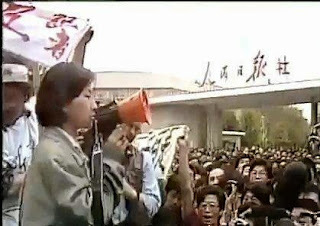 Students protest in front of People's Daily, Chai Ling is speaking. 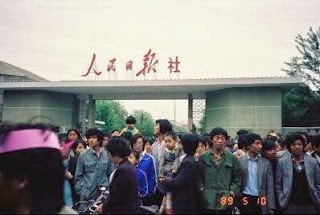 Students protest in front of People's Daily.